addition to their use of traditional white diamonds. Sarah O. Signature and custom designs are oneof-a-kind pieces, created locally and nationally, using precious metals, through traditional, and modernized jewelry metalsmithing methods. 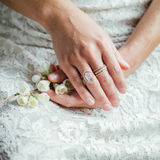 jewelry and unique diamonds and gemstones in gold and platinum. Our signature designs can be made in any color metal and custom options are always available. Our Paradigm Collection is curated in tradition; scattered with feminine softness, and age old simplicity. These pieces feature scalloped prof iles, angular hexagon settings, and our Signature Halo. We capture the soft, shimmery glow of rose cut diamonds and add dreamy accents. Capture the moment, build an heirloom, and create a lifetime with us. 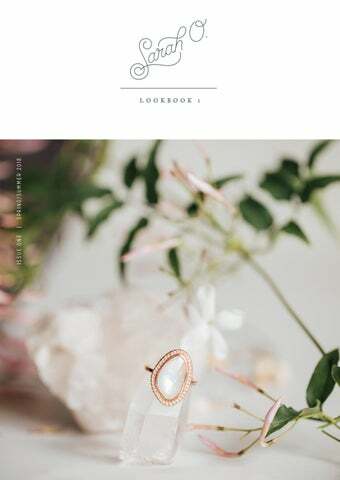 Sarah O. not only offers one-of-a-kind, versatile and custom f ine jewelry, but also a heightened f ine jewelry experience through our industry expertise knowledge, client collaborating approach to custom design and artistic approach to the relationship between stone and precious metal.Â The in-house design team is down to earth and knowledgeable, providingÂ a relaxed yet professional experience. FA N TA ST I C JOB MAKING MY IDEAL RING BECOME A REALITY! The Ecléctico Collection takes our love for paradox, and sharpens it’s details, for looks that are everyday edgy. Featuring our store favorite, rainbow moonstone, golden sheen sapphires, and agate geodes, this collection has an alternative spin on our favorite designs, for one-of-a-kind looks. Elect to be you, in solace and union. ec-léc-tico adjective 1. deriving ideas, style, or taste from a broad and diverse range of sources. A L L S H A D E S O F G R E Y.
Creatively rooted in Colorado, the Aplen Collection was inspired by the saturated colors of the mountains at sunrise and sunset; featuring rare Grey Spinel gems in a variety of fancy cuts and hues. The glowing grey hue occurs naturally in the stone and Spinel gemstones have excellent hardness and clarity. The grey hue can range from a dewy grey, a deeper smoky grey to a light lavender grey. Each ring in the Alpen Collection is designed with the specif ic stone characteristics in mind, enhancing the unique beauty of the individual stone. This collection is dripping in romance and alpenglow. Our wildest dreams are pebbled with boldness and bravery. The Flare Collection is inspired by all the magic of the stars aligning in the sky; echoing that dreams do come true. We take stones that are uniquely you and pair them with our Signature Starburst Halo, adding sparkle and creating whimsical silhouettes. Afterall, we are all made of stardust, so go ahead, dare to dream. as well as to stand alone as the base for future collections. Bend with us, change with us, grow with us. A carefully curated collection of opulent Sarah O. designs for Spring & Summer of 2018.